The Pancodix team offers their services to those, who needs a special software for the constructional and engineering calculations. Standard formulas or special know-how methodologies — we are ready to gain keen insight into your logic and implement it in the software product, which is designed just according to your demands. The "HeatExpert" program is one of successfull examples of the implementation of know-how methodology. The program allows constructing engineer to calculate technical and financial key figures for heat losses of building, at the stage of designing, constructing or reconstructing. This software has been developed in partnership with our old client, Promeko Ltd., and implements the unique methodology of calculating of heat losses, developed by this company. The program provides to user a convenient MDI-interface, which allows to operate simultaneously with several projects and manage the recent project archive. 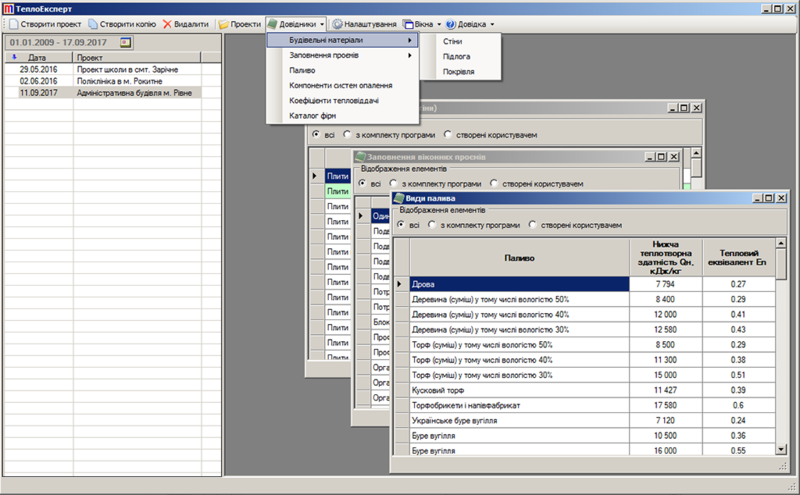 User can also create new projects as duplicates of existing ones. The program contains catalogues with a great volume of reference values for the properties of constructing materials and different types of fuel. 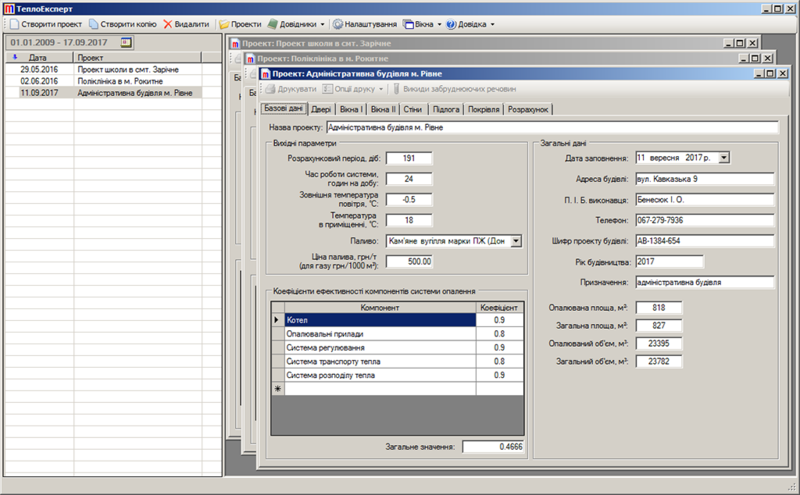 The calculations are made based on those reference values. 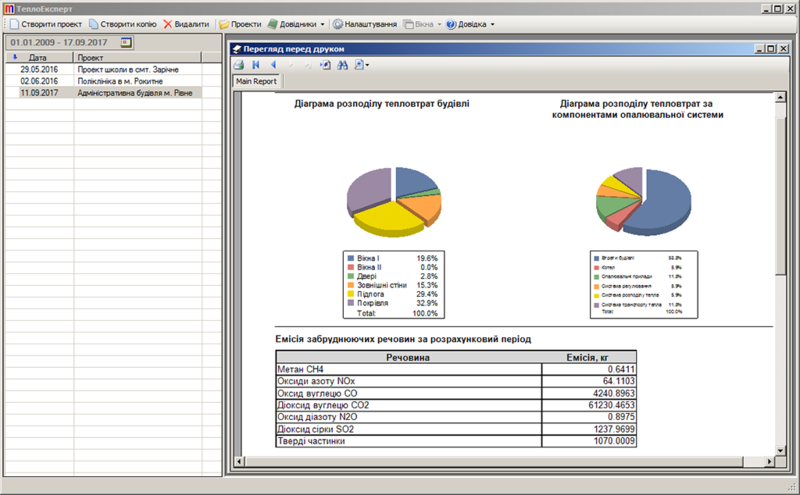 Users can also update the catalogues with his own data. The architecture of the program allows multiple users to work with the same data, including remote work. The calculation includes all constructional elements of the building. 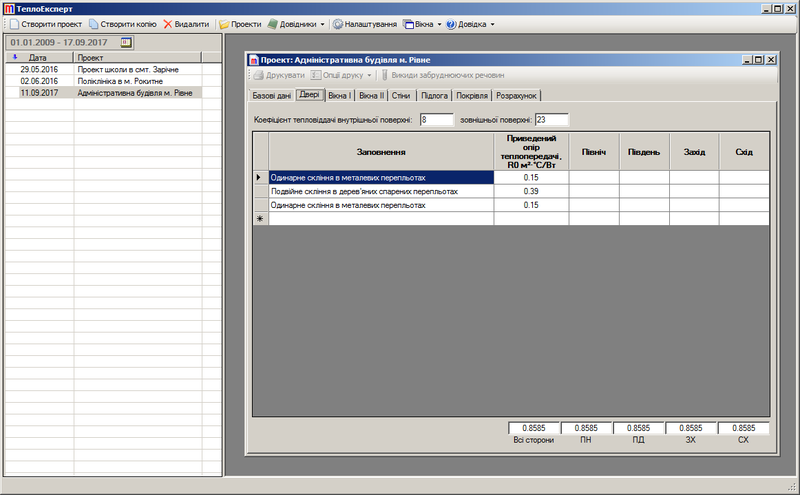 Calculation results contain physical as well as financial figures. 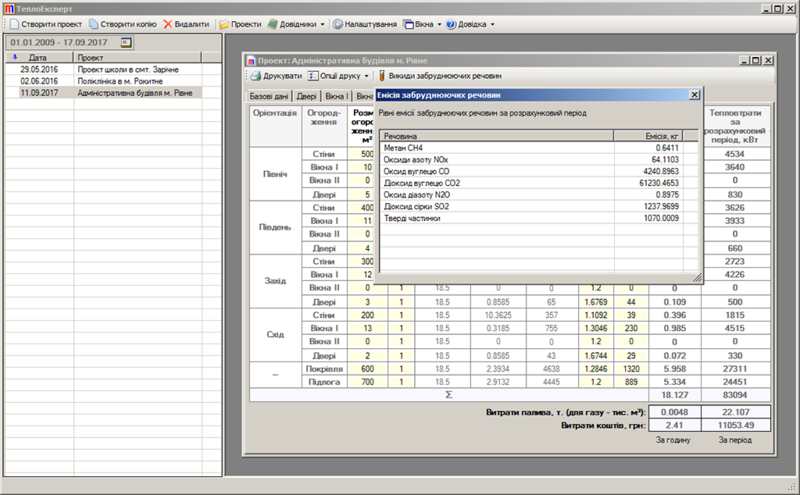 The results of calculations are printed visualized. The program also calculates emissions of harmful substances into the atmosphere while heating the building.